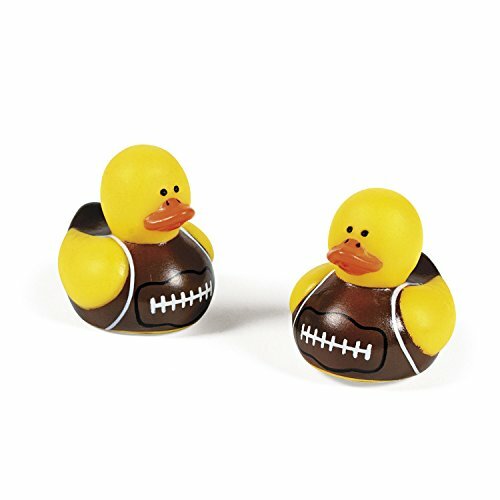 The Big Football Game will be here before you know it! 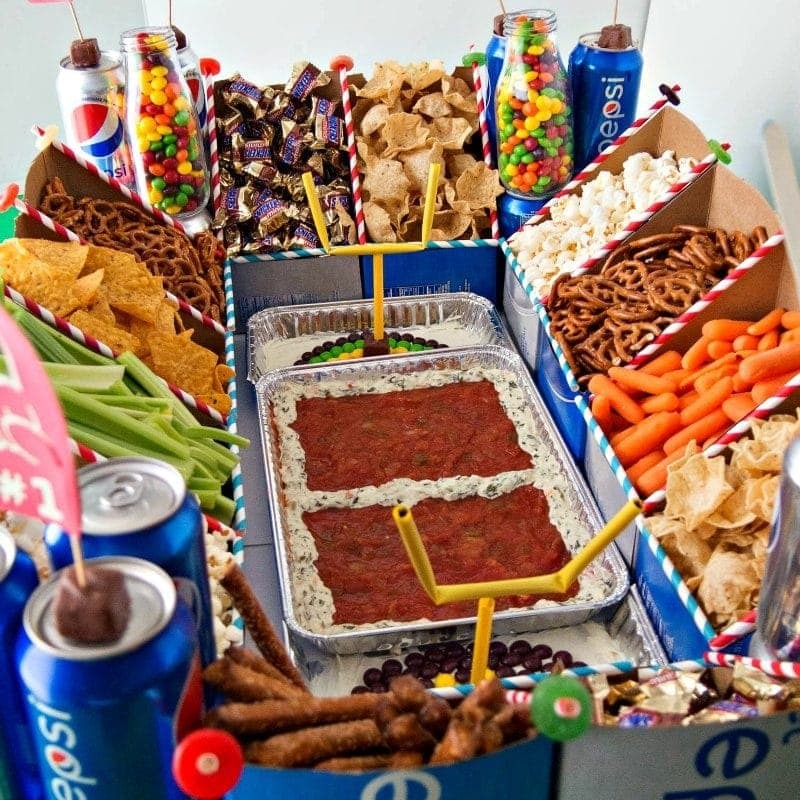 My family and I love football, and this year for extra football party fun we decided to build the ultimate Football Snack Stadium! This post was compensated by Collective Bias, Inc. and its advertiser. All opinions are mine alone. Some links are affiliate links. As an Amazon Associate I earn from qualifying purchases. 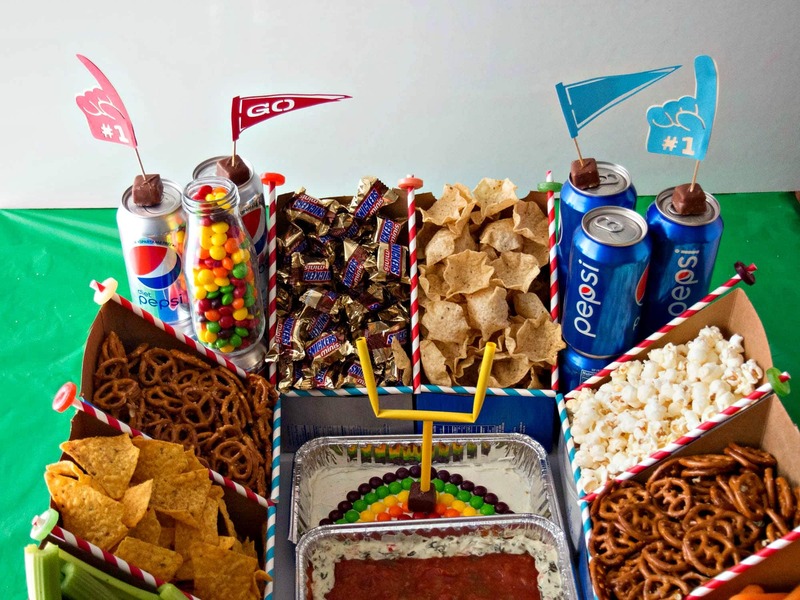 This Snack Stadium is full of tasty treats that will make your football party the the hit of the neighborhood, and it is easy to put together too. My stadium consists of slanted “stands” filled with snacks that surround a field made from salsa. 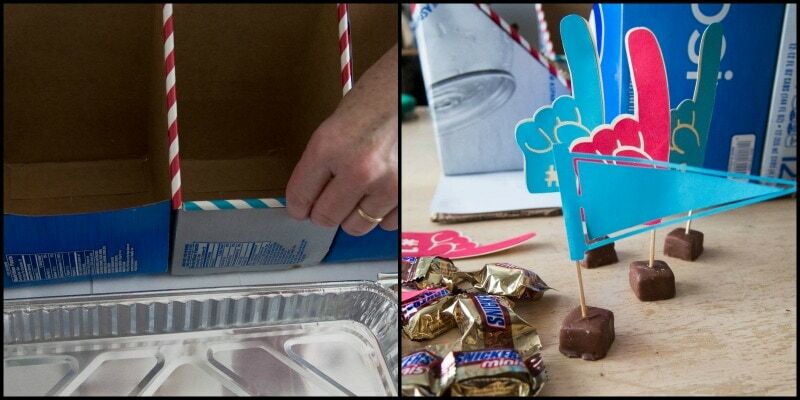 To make the stands we used the cardboard soda boxes from the soda I bought for the party, which is a great way to use what you already have. 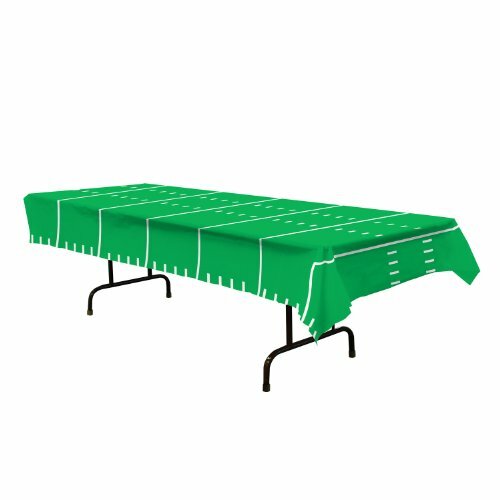 These stands are light and portable and large enough to hold lots and lots of yummy snacks for a huge football party. My teenage son is excited about the idea of throwing a big themed football party this year, so we worked together to create our stadium. For the snack stadium (and the party) I bought six 12 packs of 12 oz soda. 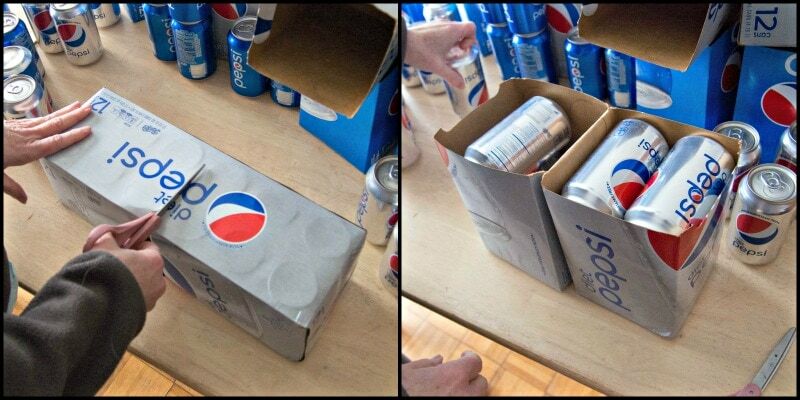 For the stands we carefully cut each 12 pack of soda in half, along the handle line, and removed the soda from inside. 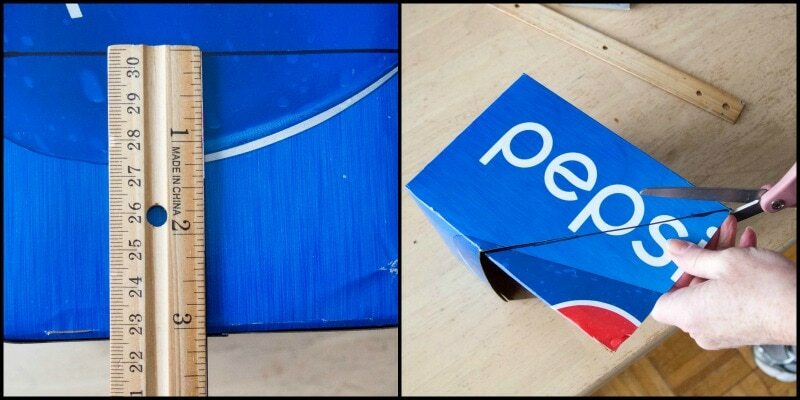 Then we measured and drew a horizontal line 3 inches up from the bottom on the front of each soda pack. Next I drew diagonal lines on the sides of the pack from the top down to the horizontal line, and cut along the lines. Once we repeated this with all the soda we had 12 stands, plenty for holding all our snacks. I used packing tape to tape the soda packs together, taping 4 halves for each side and 2 halves for the end zones. 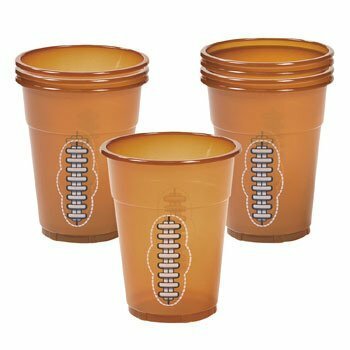 This keeps them together, but makes them small enough to move around and fill. 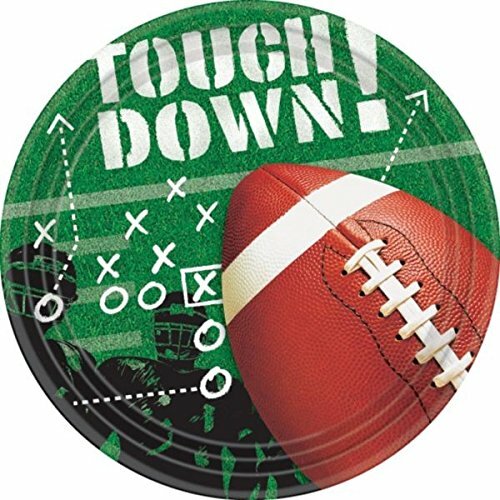 Using the soda packs makes the design modular, so you could add more or less, depending on the size of the football party you are throwing! To make the stadium we arranged the stands around a foil tray, which forms the field. 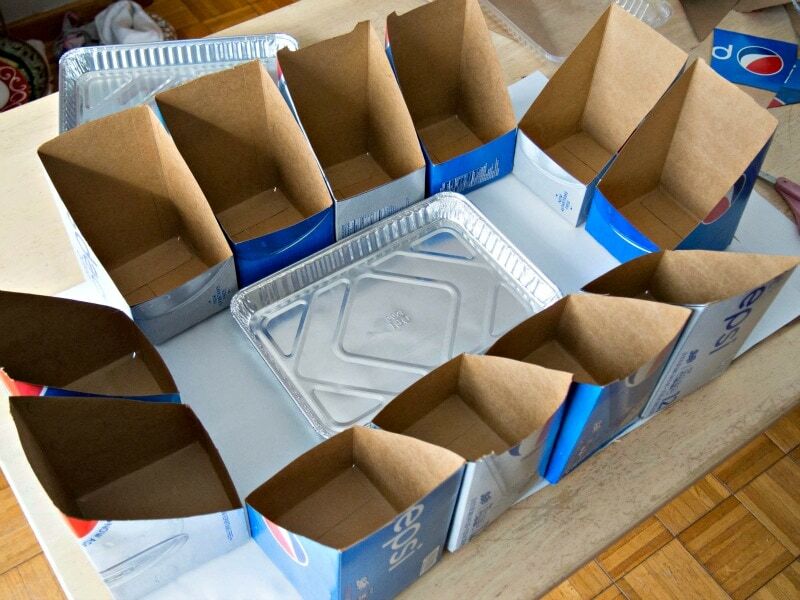 I used a 12 x 8 inch foil cake pan, but you could go larger if you are having a really huge party. But this arrangement holds a huge amount of food, more than I expected! I took a second foil tray the same size and cut it in half, and used each half to make the two end zones. 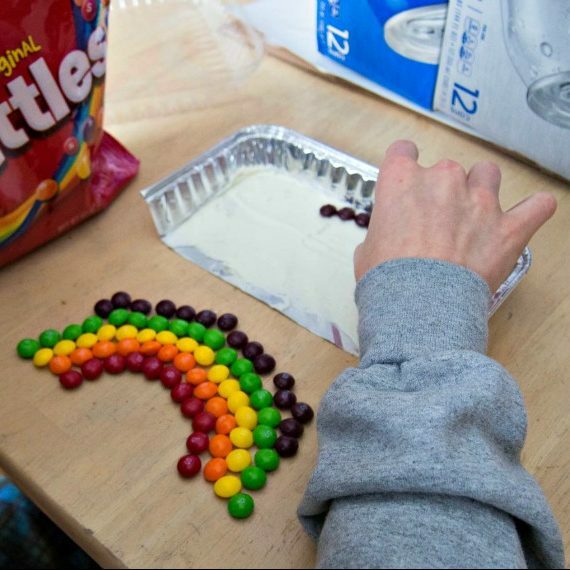 To add color and excitement to the end zones we spread a thin layer of icing in each half tray, and my son used Skittles to make mosaics in each. He made a football in one end zone and a rainbow in the other. He is not super artistic, but he thinks candy art is cool, and spent some time making sure his designs were recognizable! 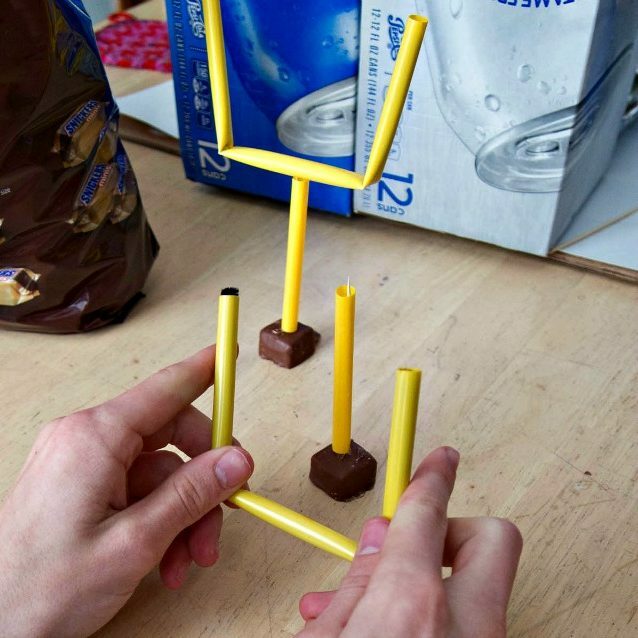 To make the football goal posts we unwrapped some chocolate candy and poked it with a wooden skewer. Then we cut a yellow straw to fit over the skewer. We took a second yellow straw and put a pipe cleaner inside it so we could bend it to a goal post shape. Then we stuck it on top of the skewer. Then we added some decorative finishing touches. We cut some red and blue striped paper straws and glued them to the edges of the soda packs to make them look prettier and more finished. We also added red and blue flags and #1 finger shapes that I cut out with my Silhouette machine. To make the field of dip we filled the foil tray with salsa and I added lines to the salsa by piping spinach dip onto it. We needed two big jars to fill the tray with salsa. 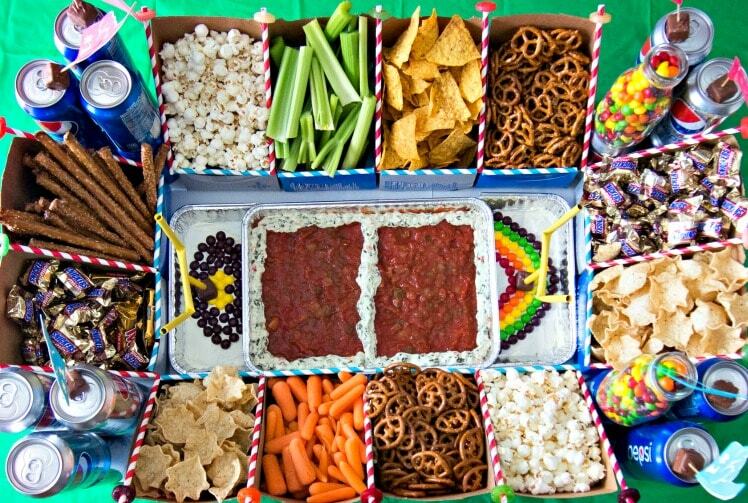 Then we arranged the trays in the center of the table and filled the Snack Stadium stands with snacks! I used a mix of snacks, like corn chips, popcorn and pretzels, along with some healthier cut veggies like carrots and celery. After the stands were full we arranged them on the sides and end of the field, and added details like the flags and goal posts, along with stacks of soda cans. It came out even better than we expected! I love how easy it is to take apart and put away, and it will be easy to reuse since it is modular. The stands made from the soda boxes are really large and fit quite a few snacks, more than I expected. I don’t think we will have to worry about running out of snacks at our party, even with hungry teens attending! Can you please tell me when and where this party is. I hope you had a bunch of people over after this post to show off this great project. Your stadium looks delicious and almost to good to eat. Thank you for all the specific details on how you put it together. Maybe this will be something I will try to accomplish for Super Bowl Sunday. I love how you have a treat for everyone taste buds. This is fabulous!!! 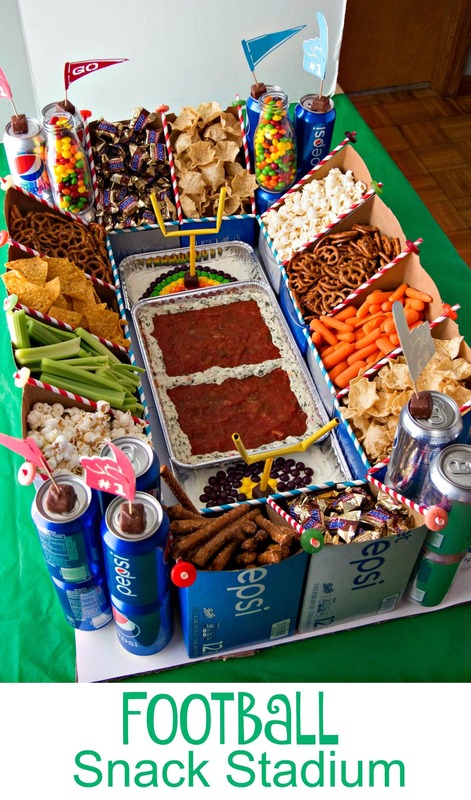 I love your snack stadium. 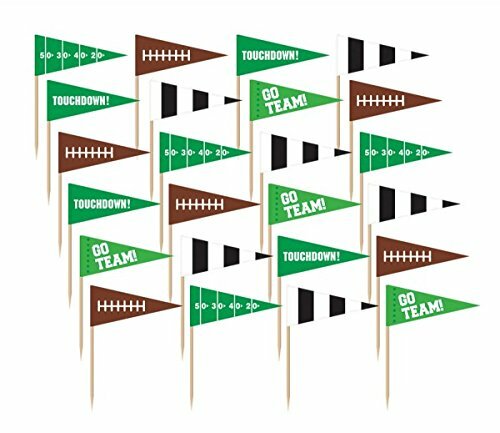 This would make such an amazing display on game day! 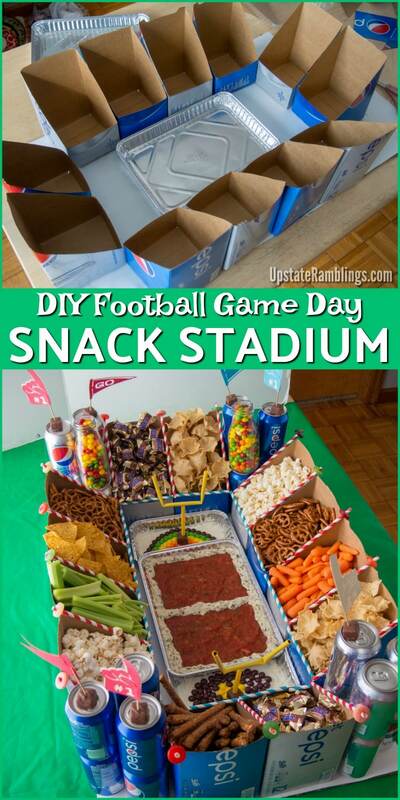 I love how this turned out and using the soda cartons as snack holders was such a great idea! My sister-in-law usually hosts for the big game so I will have to share this with her! 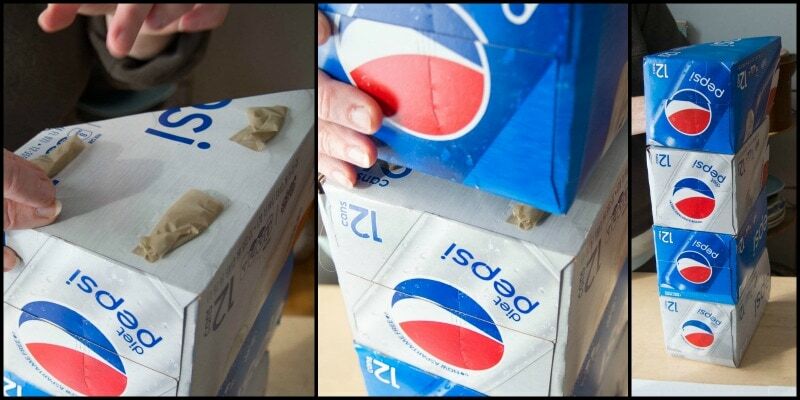 What a fantastic idea to use Pepsi boxes!! Love it! 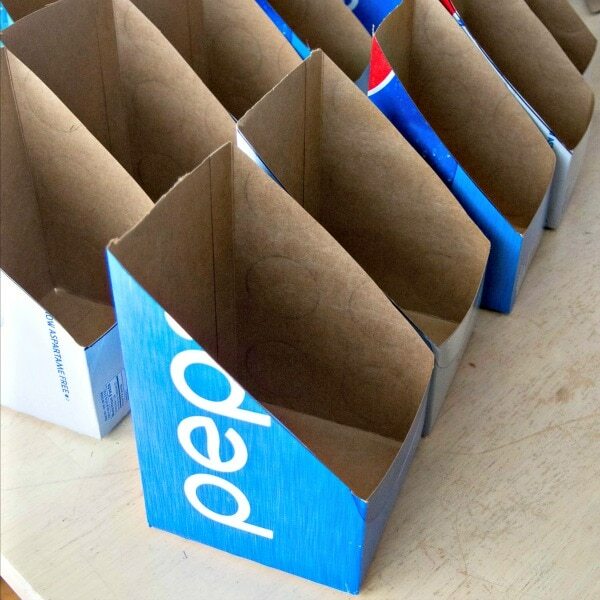 Did u line the pop boxes with anything before putting your first in them? This is so very clever! Go Panthers! This is Phenomenal!! I am so blown away by this.. what a gorgeous spread! Thanks for joining us at #SaucySaturdays . Pinned! 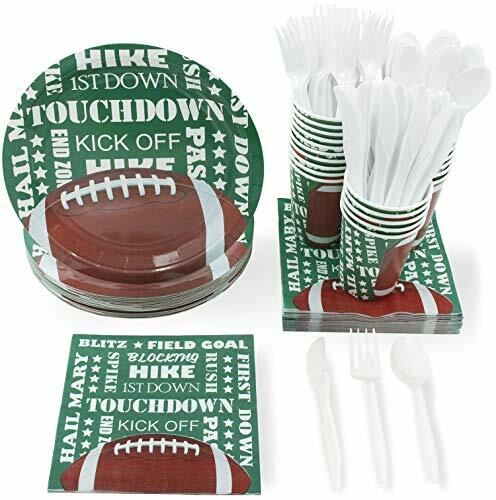 This is great for the Super Bowl or even for a kid’s birthday party. Thanks for showing us how to make it at the Over the Moon Link Party. This is the coolest thing I’ve seen! My daughter and I are so going to be trying this out this weekend. Thanks for sharing! 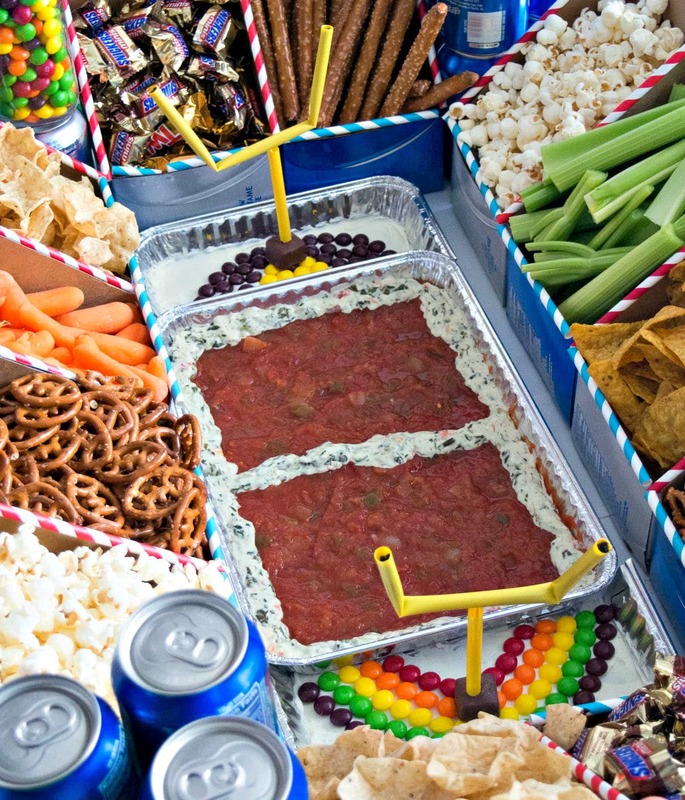 Oh my goodness, I am loving your snack stadium, so creative and sure to be the star of your Big Game party! Thanks for sharing at What’d You Do This Weekend?! 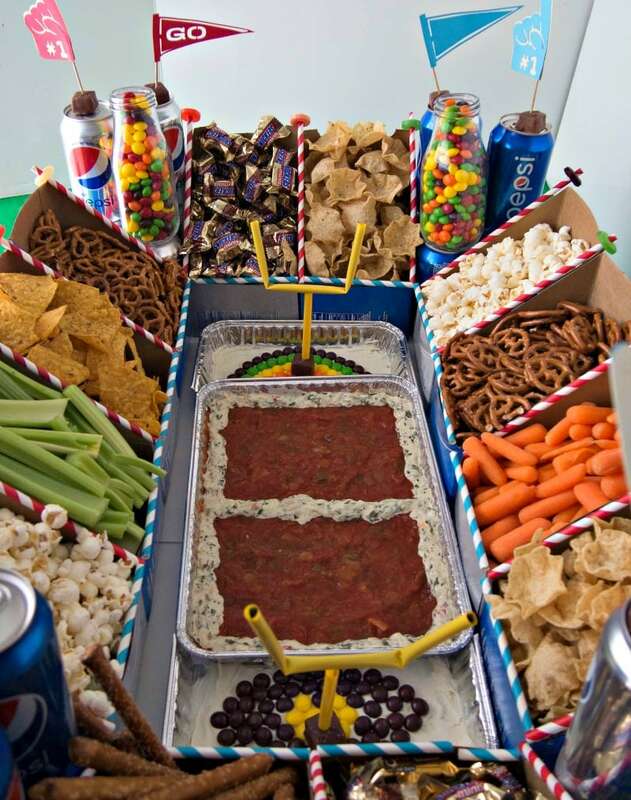 This is very creative and is perfect for a Super Bowl party. At first glance your guests will be amazed at this setup. Excellent. This is the coolest thing, I have ever seen. Give full marks to the creative idea to make this. Wow, Amazing thanks for this creative idea love it.